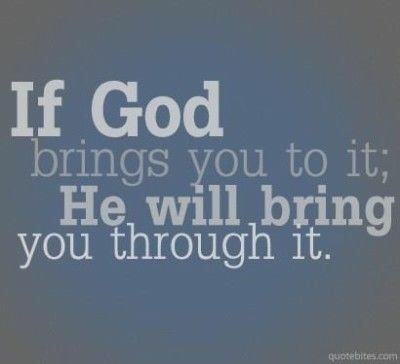 God will bring you through. Don’t ever think with God in your life, that obstacles and trials will over take you. God will always lift you up and give you the strength to overcome anything you face. The key is to always put all your faith in Him. Remember just because you don’t see it doesn’t mean that God is not working it out for your good. He will always be a present help in the time of trouble. So rest in knowing, that when you take the focus off of you, and start putting your trust in God, God will bring you through. Have a blessed day. Take care, stay encouraged and God bless you my encouragers. Scriptures for God will bring you through. Isaiah 26:3- You will keep in perfect peace those whose minds are steadfast, because they trust in you. Please check out my latest interview with Raven Goodman “Healing Through Writing” Click below and enjoy.